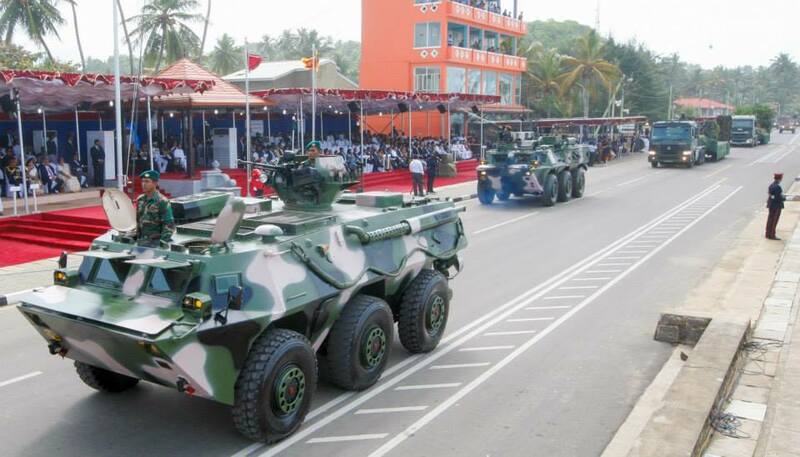 The Sri Lankan government, which has pledged to achieve reconciliation among the communities, four days ago has announced that May 19, which was marked as the “Victory Day” for the last five years, will be marked as a “Remembrance Day” to commemorate all who died in the war. 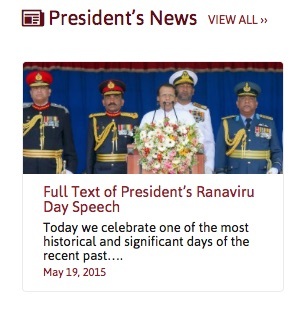 On May 15, Cabinet spokesman Minister Rajitha Senaratne told the media that May 19, which was celebrated as “Victory Day” during the Rajapaksa era will from this year onwards be observed as “Remembrance Day” to recall the sacrifices of all those who had fought to maintain the unity and integrity of the country irrespective of their ethnicity. The government’s decision was welcomed by many people and attracted the attention of international media. We all have bitter experience of the barbaric nature of the LTTE war. The human qualities were subdued, barbarism raised its head and the truth was suppressed. Peace was destroyed and the bloodshed cost us thousands of lives. There will never be anything humane in a war. In this situation, our valiant forces, the Army, Navy, Air Force, Police and Civil Defense Forces sacrificed their lives and fought this war bravely in defense of Motherland. The war that commenced in the 1980s became the worst catastrophe of our nation for three long decades. All developmental activities were at a standstill. People lost their hopes. All of them, however, committed themselves together with the members of the security forces to fight this war until victory, with much sacrifice. All of them who made such sacrifices receive the respect and honor of the nation. This honour should go to all the members of the Army, Navy, and Air Force, Police and Civil Defense Forces and all leaders of the State since 1980s who gave leadership with commitment to end this conflict. The great national service rendered by the forces cannot be valued in money. 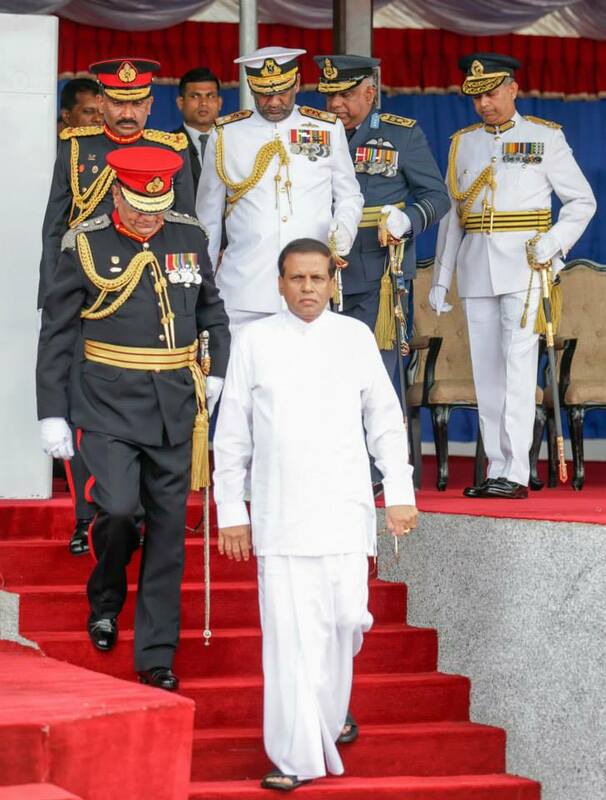 Hence, all the members of the forces receive the honour of the Government of Sri Lanka and all the citizens of the country today. We must pay our attention to the reason why this war dragged on for 30 years. We must study the developments prior to the 30-year-old conflict and how the governments reacted then. In that era the Tamils, Muslims and other communities lived in unity as brothers. The leaders then fulfilled their responsibilities towards the people. In the 1930s and 1940s, the freedom struggle was fought with the cooperation of all the communities and all those who follow different faiths and it succeeded in obtaining independence in 1948. After winning the freedom when we attempted to forge peace, harmony, coexistence and reconciliation, there were many shortcomings in our methods. That has resulted in divisions between the communities and its result was that we all had to face a barbaric terrorism. With the ending of the war on May 18 and 19 of 2009, we witnessed a period of peace. We have to ask ourselves with intelligence, experience, knowledge and wisdom whether we have fulfilled the tasks, we should have performed during the post-conflict period. Though the damaged buildings, destroyed roads and other physical resources were being re-built, there was no reconciliation process during the post-war period to rebuild the broken hearts and minds. Therefore, as the new government we clearly state that our policy is that of development and reconciliation. We cannot fulfill our expectations for reconciliation only through development. The reconciliation process includes investigating the truth, carrying out justice, eliminating the fear and mistrust, building trust among every community, and re-building physical resources, which were devastated by the armed conflict. Hence, with the experience of the war, we must understand the requirement of priority for the reconciliation process. The conflict started with an issue on water supply for cultivations. From that beginning, culminated with the final battle regarding disruption of the water supply of Mavil – Aru. The war that started over the water of Mavil – Aru ended on the water of Nandikadal Lagoon. Especially, we should perform our responsibilities efficiently and properly by eliminating fear and mistrust among people, building mutual understanding among everybody and determining our own responsibilities and tasks. To overcome our challenges in the country today and tomorrow, we shall implement our slogan development and reconciliation. The honor of the entire nation will be offered to you. To make that honor the strength of the nation, as the new government, we clearly state that in all future actions we will take steps to future wellbeing of our motherland, strengthening national security. I believe that in the future, you will fulfill your duties in most satisfactory manner considering this War Heroes Remembrance Day as the day, which brought peace to our land, and giving priority to reconciliation among communities as the responsibility of a soldier. I must mention here that we will provide all the benefits and social welfare facilities in the development drive of our country to our beloved people, who acted with great commitment in the 30-year long war. Today, we all consider this great day as a day, which saw the dawn peace in our land. A day that we all respect as well as a day, which opens a new chapter in our country’s development and reconciliation. As I mentioned before, all must unite for development and reconciliation in the country. We must all carry out our responsibilities together to defend the unitary status and territorial integrity on behalf of our nation and country. All of you have placed your confidence in our government. Therefore, from today, we must work with determination to turn a new page of Peace to make this truly a land of peace.